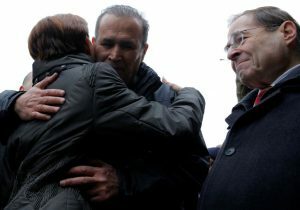 (JTA) — When Jews joined the protests around the country this weekend against President Trump’s executive order on immigration, they were largely doing so on behalf of Muslim refugees and migrants who found themselves in a legal limbo and barred from entering the United States. 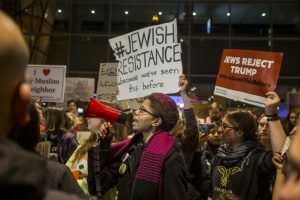 But nearly 100 years ago Jewish protesters gathered to demand the release of fellow Jews, who were caught up in a legal drama eerily similar to the one that has played out in airports and courts since Friday. On Nov. 15, 1923, 2,000 Jews rallied at the Lower Manhattan headquarters of the Hebrew Immigrant Aid Society to protest the detention of 3,000 of their relatives at Ellis Island. They appealed directly to President Calvin Coolidge, a Republican, presumably asking him to ease the strict moratorium on immigration that had been put in place in 1921 under the “Emergency Quota Act” aund re-upped the following year. 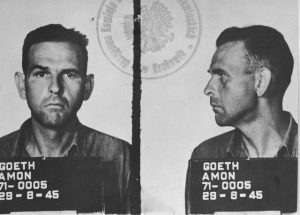 Anti-immigrant groups had long argued that immigrants from poorer and “backward” regions of southern and eastern Europe were a drain on American resources and brought with them radical ideas like anarchism, communism and socialism. Some labor unions, too, joined the anti-immigrant spirit, arguing that cheap labor would depress wages. Like Muslim travelers detained at U.S. airports this week or left in limbo in transit countries as a result of Trump’s executive order, Jewish and other immigrants often set sail unaware of changes in the immigration law, or aboard ships whose unscrupulous operators didn’t inform them that there were strict quotas already in place. On behalf of the immigrants, blood relatives of citizens and declarants, facing deportation because of the exhaustion of quotas, I appeal to your well-known exemplification of American sense of justice to admit them to this country. These unfortunates who have given up their all to be reborn to the ideals of liberty and freedom are the innocent victims of circumstances over which they had no control. Humanitarianism prompts the plea for their admission. On Dec. 3, JTA reported that Secretary of Labor James J. Davis approved the deportation of hundreds of the detained immigrants to Canada. 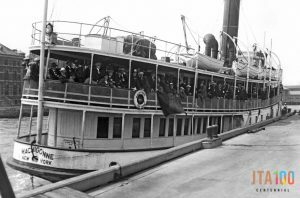 Others were sent to Cherbourg, France, “whence they are returnable to the countries from where they embarked for the United States.” By 1924, with the passage of the fiercely nativist Johnson-Reed Immigration Act, immigration from outside of Western Europe slowed to a trickle. HIAS, meanwhile, continues to assist immigrants, processing more than 4,000 refugee asylum applications annually – most of them for non-Jews, and many of them impacted by last week’s executive order. Cheers rippled through the crowd below. 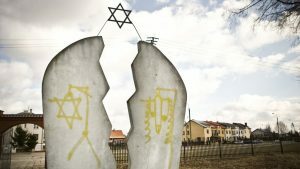 But the pithy slogan Trump has embraced to define his new foreign policy also served as the rallying cry in what is now considered a dark chapter in American history, when an isolationist movement of the same name blamed American Jews for conspiring to pressure the government to join World War II against the interests of America. 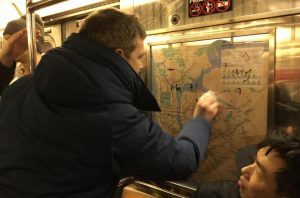 “The concept of standing up for American rights is a legitimate concept, but the words themselves have historical relevance because of what happened in the 1930s and 1940s,” said Kenneth Jacobson, the deputy national director of the Anti-defamation League. Jacobson has been with the ADL for 45 years and serves as something of its resident historian. The ADL went on record last spring when Trump first brought up the term to remind Americans, most of whom have no living memory of the term or movement, why there is a visceral reaction against it. The isolationism embraced by some Americans following World War I that helped birth the America First Committee was not unique in American history. Opposition to American involvement in overseas conflict dates to the colonial era and continues to the present day. 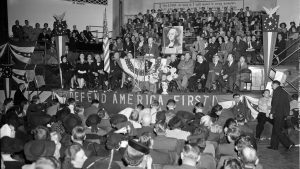 Founded by a group of Yale University students in the fall of 1940, the America First Committee arose as the country was steeped in intense dispute over whether to join the British in fighting Nazi Germany. 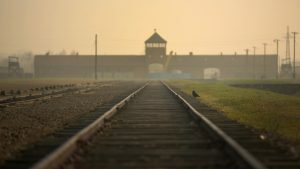 By then Germany had already rolled its way over Poland and into Western Europe including France, Belgium and the Netherlands, and persecution of the Jews had begun with some already being arrested and shipped to concentration camps. At the time the movement arose, it tapped into the unhappiness many Americans felt about the United States’ entry into World War I. Meanwhile, the America First Committee gained in membership and popularity, especially in the Midwest. As Susan Dunn, a professor of humanities at Williams College and author of “1940: FDR, Willkie, Lindbergh, Hitler — The Election Amid the Storm” noted in an essay published by CNN, among America First’s executive committee members were initially two powerful men and known anti-Semites — Henry Ford, founder of the Ford Motor Company, and Avery Brundage. As chairman of the US Olympic Committee, Brundage prevented two Jews on the 1936 US Olympic team from running in the finals of the 400-meter relay race in Berlin. Brundage and Ford were later removed from the committee as the movement tried to distance itself from charges of anti-Semitism. But cementing America First Committee’s anti-Semitic association for the ages was Charles Lindbergh, a member of the executive committee who was prized as the dashing American pilot-turned-national hero, celebrated for making the first solo Transatlantic flight. Lindbergh had become enamored with Nazi Germany during visits in the late 1930s, even briefly planning to move there. He lobbied the US government to remain neutral, arguing that Germany’s victory in Europe was inevitable. On September 11, 1941, he made a speech in Des Moines, Iowa, that revealed the extent of his anti-Semitism. His comments were widely condemned. Just three months later the Japanese bombed Pearl Harbor and the debate over whether or not to enter the war was over. Whether intentional or not, the new president’s continued use of this slogan — and what it represents — remains to be seen.